A year ago today, my friends were moving halfway across the country and into their dorm rooms, participating in welcome weekends and pulling late nighters to finish essays. A year ago today, I was sitting on an airplane, in an incredibly uncomfortable situation, on my way to Israel. I had waited approximately six years for this and so far, I was not enjoying it. Everyone around me knew everyone else already and I just wasn’t making friends while they played Jewish geography and I sat silently. I returned back to my seat and stayed there the rest of the flight, talking to my incredible seatmate and my first friend of the program. Eventually, finally, we got off the plane and landed in the place I would call home for the next nine months (and as I learned very fast, for the rest of my life). The first month of Nativ – something I had been waiting to do for the past six years – I truly struggled. I had huge issues adjusting to the new surroundings and people I was stuck with for the next 9 months. I vowed that if, by Thanksgiving things didn’t get better, I was going to go home. I had built up all of these expectations for Nativ and none of them were coming true. After many nights sitting with my new friends, I decided that I had to change my perspective on things. I had to come into things with an open mind and be present for every class and every activity. Although I didn’t change overnight, by the time the January Poland trip came around, I was practically a new person. I learned that there were no moments to take for granted, there were lessons to be learned from all of the people and places around me, there were things to be gained from listening and participating in that “boring” Erev Nativ. Eventually, the people around me became my family and the place I was in became my home. It took time, but it happened. 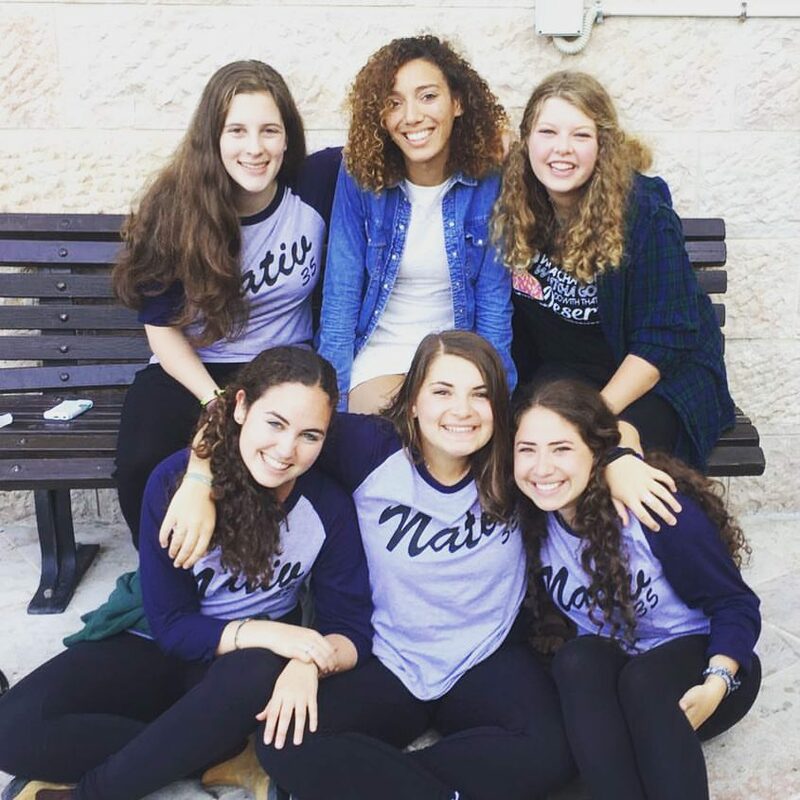 So, to Nativ 36, 37, 120 and beyond – my words to you: take time to get to know the people around you, including people outside of the Nativ program (even though those are the best people you’ll ever meet). The people around you have so much to give and yes, they’re just as scared as you are. Go on that crazy 3 am adventure to the Kotel or walking down Ben Yehuda or into the Machtesch in Yerucham. Take a group of new friends with you, by the end they’ll be your best ones. Travel as much as you can. It takes six hours from the Golan Heights to Eilat by car and not too long by bus or train. Get hosted out for that Shabbat you were going to stay at Agron for. Go to that new city. Go beach camping. Go beach camping twice. Make bonds with Israelis and if they invite you over for Shabbat (they will) go. Go to all of the Erev Nativ programming. Go to all of the Yom Nativ programming. You’ll learn something new. Do not skip Hebrew U classes, but make sure you have time for lunch. Bake cookies at 5 am while watching the sunrise over your beautiful Yerucham apartment. You might struggle. As a matter of fact, you probably will struggle. This is all so new and transitions can be hard, but just know, you’re not alone in the struggle. Your friends are there for you, your madrichim are the best people ever and Yossi is there for you too. And with that, bruchim habaim l’Yisrael v’bruchim habaim l’mishpachat Nativ.